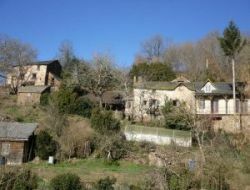 Holiday cottage in the Tarn, at an altitude of 800m, with a very beautiful point of view on the black mountain. 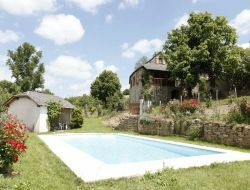 Charming country house of 120m², recently renovated, garden with terrace and adjacent forest. Nested in the middle of sweet chestnut trees, our little farm, producing some honey and some vinegar of honey, proposes you it's accommodations, on hillsides of the Valley of the Tarn. The small holiday cottage, for 4/5 people, attached to the farm but independent, and the wodded skeleton house, at 100m, with dry toilet. 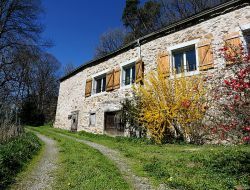 It is in an old farmhouse typical of the valley of the Tarn, that we offer a friendly welcome in our two adjoining gites, you will have access to the two large gardens. This place lends itself to relaxation and rest, alone, as a couple or as a family. 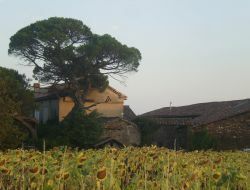 We are ideally located at the entrance of the valley of Tarn 12 km from Albi (episcopal city). You can indulge in any type of activity, cultural, sporting but also discover the many and tasty products of our soil. Welcome to Les Ombelles Albigeoises. 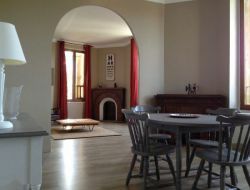 Holiday home with pool near Cordes sur Ciel and Albi in the Tarn, Midi Pyrenees. 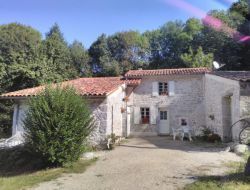 Rent of a gite of character in stones, in the Tarn, with big swimming pool (shared with the owners). You will spend pleasant evening on the covered terrace, dominating the swimming pool and the valley of the Tarn. This house is planned for 8 people. You will be close to Albi's cathedral (Unesco), picturesque village of Cordes sur Ciel, to cellars of Roquefort, to the viaduct of Millau and to the village of Ambialet. 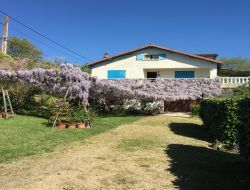 Charming cottage located in the regional park of Haut Languedoc in the granitic site of Sidobre: Farmhouse completely renovated for 6 people, with a large park, without vis à vis. Many lakes nearby. Peace and serenity of places, ideal to rest in B&B or in one of our 2 holiday cottages (a fishing gite for 7 people or a gite for 6 to 10 people). Table d'hôte in the farm, the local specialities with the products of our garden and the farm. 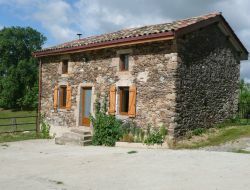 Little gite in schist, typical of the Ségala, on a crest, with plunging sight on the wooded valleys. Just a step from the classified village of Monestiès and by the stretch of water of the Roucarié (bathing, child playground). 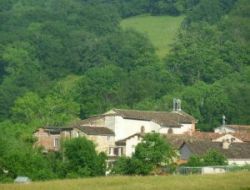 Holiday cottages for 2-4 persons in the countryside, in the village of Marsal, a magnificent greenery environment of the valley of the Tarn, in 5 mn from all shops, 15 mn from the city center of Albi, 1h from Toulouse, 40 mn of Sidobre. Outdoor spaces, garden furniture barbecue... and the river close.